Rwanda has a huge amount of unexploited underground water. This is not from a research we have conducted or anything, this is simply based on common sense. We are a country in the equatorial regions, and we receive an annual average rainfall that is above 1,000 mm. It has been raining that much for the last few hundred years, building huge water reservoirs underground. While most people, even water plants, use surface water, some organizations have funded boreholes across the country that exploit underground water. 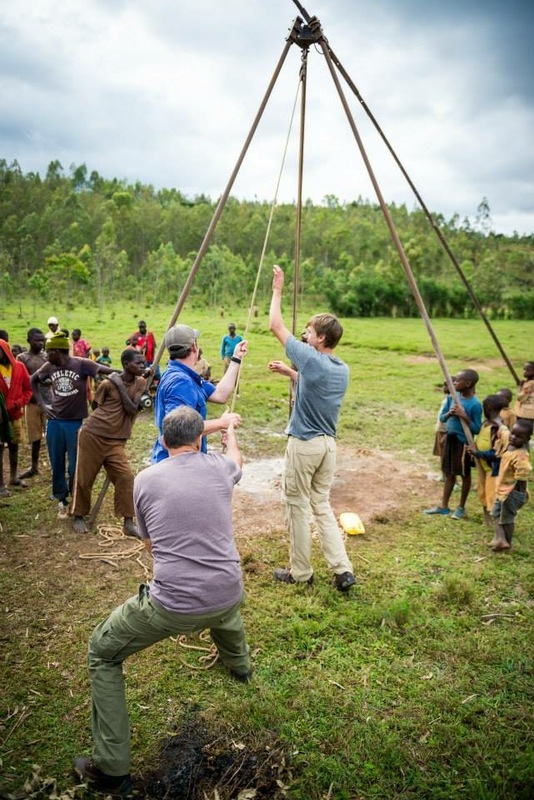 We have seen in other countries schools, hotels, and government buildings relying heavily on underground water, but not in Rwanda, boreholes are reserved for rural communities. We don’t see water-hungry industries tremendously using underground water, yet it is the best long-term investment they will ever make. Exploiting underground water consists of drilling (mostly a 6-in hole in the ground) to get to the water table, installing a pumping system to bring the water on the ground, and a surface assembly or some kind of user interface to collect water. Engineers install some kind of filter, but the water is filtered naturally by penetrating and passing through different layers of the soil. The water can be used immediately or stored for later usage. Most people we serve use borehole water for domestic consumption, but a wave of smallholder farmers are installing solar-powered boreholes on their farms. At Rwandans4Water, We have played with all kinds of drilling techniques to exploit underground water in Rwanda. Most people are familiar with the heavy expensive drilling rigs. We have developed techniques to drill boreholes manually and have tried them on more than 30 boreholes with success. And as you can imagine, the costs go down significantly.